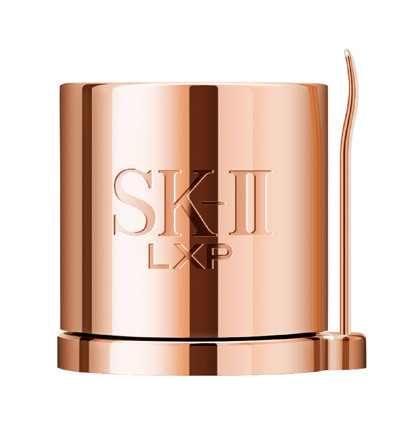 The most luxurious cream ever developed by SK-II, LXP Ultimate Perfecting Cream is infused with Highest Concentrated Pitera™, Skin Regenerating ActiV™, Rose Absolute and nine carefully selected skin-conditioning ingredients to drench skin with moisture and keep it locked-in for 12 hours. It’s also subtly scented with Rose Absolute, an exquisite scent to comfort and lull the senses. 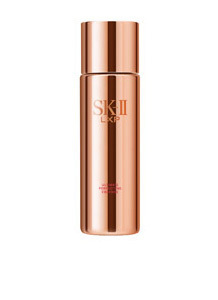 In just 3 days, skin is deeply nourished, firmer and more radiant. Creamy and rich, it envelops the skin as it seeps in. Water, Glycerin, Galactomyces Ferment Filtrate, Niacinamide, Phytosteryl/Behenyl/Octyldodecyl Lauroyl Glutamate, Ethylhexyl Isononanoate, Butylene Glycol, Triethylhexanoin, Neopentyl Glycol Diethylhexanoate, Simmondsia Chinensis (Jojoba) Seed Oil, Sucrose Polycottonseedate, Glyceryl Stearate SE, Myristyl Myristate, Hydrogenated Coco-Glycerides, Pentylene Glycol, Sorbitan Stearate, Myristyl Alcohol, PEG-40 Stearate, Batyl Alcohol, Polyacrylamide, Benzyl Alcohol, Panthenol, Polysorbate 65, Tocopheryl Acetate, Caprylic/Capric Triglyceride, C13-14 Isoparaffin, Methylparaben, Hydrogenated Lecithin, Disodium EDTA, Laureth-7, Crithmum Maritimum Extract, Ethylparaben, Fragrance, Magnesium Aspartate, Zinc Gluconate, Sodium Hydroxide, Camellia Sinensis Leaf Extract, Copper Gluconate, Saccharomyces Cerevisiae Extract, Palmitoyl Dipeptide-7, Acetyl Hexapeptide-8, Hexapeptide-3. Warm a pearl-sized amount in your palms. Breathe in the subtle scent of Rose Absolute to relax your senses as you gently smooth the cream over your face and neck. Lightly press the cream into your skin with your fingertips to enhance its absorption. 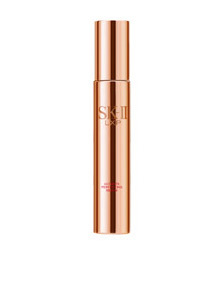 Apply day and night, following a serum, such as the Ultimate Perfecting Serum.